Home » tis’ the Season to be Frugal. Now that the green is closed for winter (but not forgotten I hope! ), thoughts inevitably turn to the condition of the club itself. How is your club doing? How are the membership numbers looking? How can we get people in to spend some money in the winter months? I’m a bit of a Twitter enthusiast and I find that it’s a good barometer for seeing how things are going in the bowling world, even though only a tiny percentage of clubs seem to be using it so far. Same goes for facebook; not many clubs using it for club communications and/or marketing. That seems like a terribly good deal. Membership for a whole year for just £20 or £40? But is it a terribly good deal for clubs to be giving away membership for such low fees? 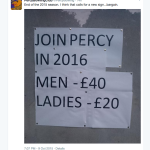 Let’s speculate that an imaginary club with similar fees to this one has 50 Ladies and 80 Gentlemen members. 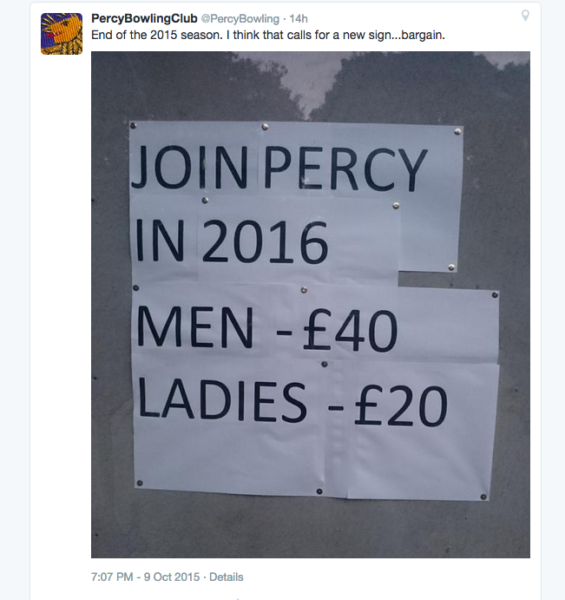 That’s a total membership income of just £4200 for the year. Now I know that I’m dreaming here because a high percentage of clubs have far fewer members than that, but even allowing me my poetic license this is barely enough to cover the costs of maintaining the green and having the lights on in the clubhouse of an evening. Of course there are other income streams, like the bar and social events but many clubs are in borderline survival mode. I know the pressure is on to keep membership fees low and I know that many members view these fees as if they are for the summer only. I also know that members have to bear additional costs to participate in the sport such as petrol, equipment, competition fees etc, so I’m not advocating any drastic increases to membership fees. So what does that leave? It leaves the fundamental way in which we think about our club’s role in the community. Is it the damp, cold place that the old fuddy duddies go to in the summer, to be avoided at all costs, or is it a vibrant, bright hub of the community where the members will welcome you to participate in their sport or even bring your own interests along to share with others? Is it a place that seems off limits to me as a non-member or that seems to be closed up all winter long, or is it a magnet for locals, who relish the warm and buzzing atmosphere in the dark, damp days of the closed season? At this time of year many clubs slip routinely into survival mode. Put the green to bed, batten down the hatches, set the radiators to “snowflake”, cross fingers and hope all the members come back next year. 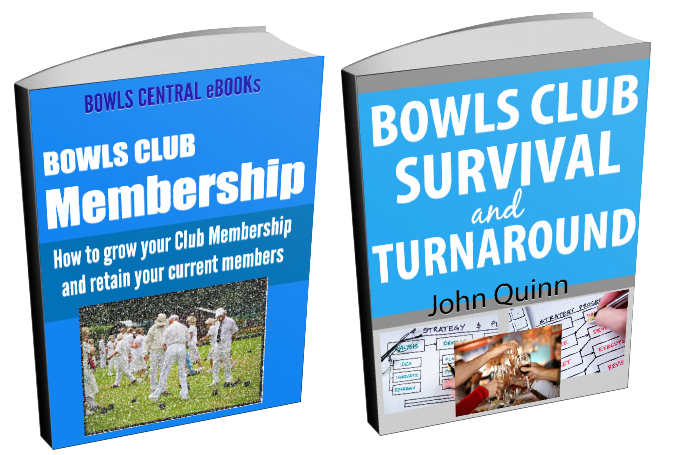 Let me know how things are going at your club.Meantime I’ve popped two of our most popular winter reads into a special offer so that hopefully clubs can make a start on getting the ball rolling on change. 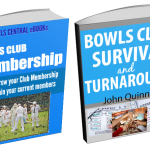 Get them now and start the march to abundance for your bowls club this winter.